Gozo means JOY! Coming to Gozo will surely make it a joyous time. With a population of just over 31,000, Gozo is the second largest island of the Maltese archipelago which is formed by 5 islands. Gozo is popularly called the Island of Calypso, where according to myth, the nymph Calypso held the Greek hero Odysseus as her companion for seven years. Gozo can be reached by ferry from Cirkewwa which is the northern harbour of Malta. The crossing takes approximately 20 minutes in which one can enjoy spectacular views of the island of Comino which lies in between Malta and Gozo. Upon arriving on the island one can admire the picturesque Mgarr harbour. As compared to mainland Malta, Gozo is much greener and peaceful and is described to be heaven for tourists who visit it to enjoy quieter surroundings. 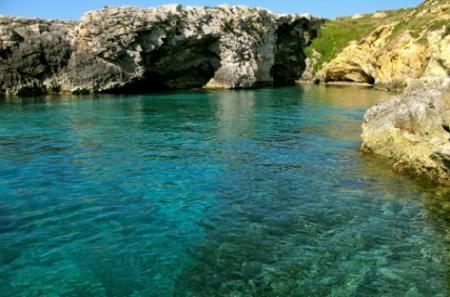 In Gozo one will find several sandy and rocky beaches which are among the most spectacular in all Maltese islands. They are all very safe for swimming which makes the island very popular for families with children. The most popular are Ramla Bay, which is the largest sandy beach on the island and San Blas bay which is also a sandy beach but accessible mainly by boat or foot due to its very steep passageway. Other beaches worth a visit are certainly Hondoq Bay in Qala, Mgarr ix-Xini in the limits of Xewkija and Dahlet Qorrot in Nadur. Two very popular tourist resorts are Marsalforn and Xlendi where one can find an array of restaurants, bars, hotels or apartments. The areas are very hectic in summer with not only with tourists but also by the many local people who have their second residence in the area. Both are seaside resorts and therefore ideal for water sports activities. One can take a boat trip around the island which will take you also to the island of Comino and the crystal clear waters of its blue lagoon. Even though Gozo covers only one-third of the area of Malta, one will certainly not get bored on the island. The island boosts itself with the oldest free-standing manmade religious structure in the world, the Ggantija temples which are believed to be originally used as a place of worship. In Gozo, one should not miss a visit to Dwejra and its dramatic coastline. The area is especially renowned amongst divers who come from all over the world to experience the magical atmosphere under the sea. The village of San Lawrenz is a popular area for accommodation as one can find many traditional Gozo farmhouses with private pools and panoramic views in the locality. Visitors to Gozo will certainly remember the local cuisine which is known especially for fish, rabbit and fresh cheese. One will find several restaurants which serve local food among all localities on the island. Dinner prices are usually quite affordable and most restaurants and wine bars offer a quiet and romantic atmosphere. Gozo is indeed quite a romantic and green island and ideal to explore it on foot. Quite notable is the Citadel situated in the capital city Victoria, which is a historic fortified city. The latter offers a good range of museums along with the main parish church which in August celebrates the Feast of St.Mary, an important tradition on the island. Every village on the island celebrates indeed its own patron saint during the summer season and one will hardly find a weekend without celebrations in a particular town which includes fireworks, bands, and decorative churches. One church which is certainly worth a visit is the notorious Ta` Pinu church, which is an important place of pilgrimage on the island. It is believed that several miracles occurred on the site and local and devotees from all over the world visit the church to worship the blessed virgin. Gozo is also very popular for carnival and during that weekend many Maltese people come all over from Malta to experience Gozo`s unique carnival especially in the village of Nadur. Many locals dress up in colourful and also outrageous costumes with the intention of not being recognised. On the island, one will also find a good nightlife, especially in summer when La Grotta nightclub opens its door. 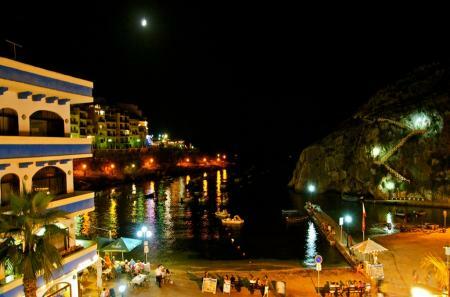 Situated in Xlendi, It is considered to be one of Europe`s best clubs enjoying superb views. It is also very popular with the Maltese crowd which crosses over during the weekend to enjoy well known Dj`s and quality sound and visuals. In the city of Victoria, there are other clubs and bars which tend to be quite crowded during the weekend. The city is also the main area of shopping on the island with two big shopping complexes and other small shops on the main street. Gozo is a very tourist friendly destination and many locals are extremely helpful and willing to help the visitor. Gozitans speak their own dialect which is very different from Maltese. The majority of the locals understand and speaks English as well as Italian. On Malta and Gozo traffic drives on the left and can get quite hectic in the mornings in Victoria but usually flows quite easily throughout all localities on the island. Hiring a vehicle is the best way to travel on the island. Gozo is certainly worth a visit and many visitors that have experienced the magic of the island would not think twice to visit the island again to enjoy its nature and wonderful weather most time of the year. Delicious food, peaceful atmosphere, panoramic views, ideal weather and abundant history make Gozo an ideal destination to visit. Comprehensive Guide on the Maltese Islands - CLICK HERE. Below are some links which might be useful for planning a trip to Gozo. Island of Gozo Vacation Rentals: uncover a beautiful Island of Gozo vacation rental on TripAdvisor.